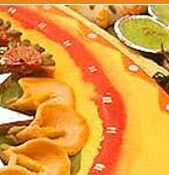 We prepare the famous and most delicious Aflatoon Sweetsall over the nation. It is baked in a hygienic atmosphere, specially separated to ensure healthy and tasty sweets. Our yummy Aflatoon sweet is made of quality ingredients. We also offer proper packaging to ensure safety and hygienic products to our valued clients. Our Aflatoon Products are specially prepared from the finest quality desi ghee and pure ingredients. 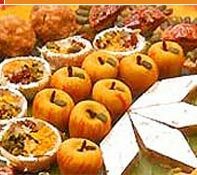 These include mawa, eggs, sugar, rawa ghee, dry fruits and kishmish. Because of our relentless dedication in providing one of the best quality sweets, our Aflatoon products have achieved a top level standard in all over the world. We also provide proper packaging to ensure hygienic and safety products to our esteemed clients. We offer various assortments of our Aflatoon products according to our esteemed clients requirements. Prepared from pure ingredients and the best quality desi ghee, these products are highly appreciated for mouth watering taste. To ensure healthy and tasty sweets, it is baked in a hygienic compartment, specially separated. We also provide proper packaging to ensure safety and hygienic products to our esteemed clients. As the name suggests, our Special Aflatoon is really a special sweet with a quality to mesmerize your sense of taste. To ensure healthy and tasty sweets, it is baked in a hygienic compartment, specially separated. 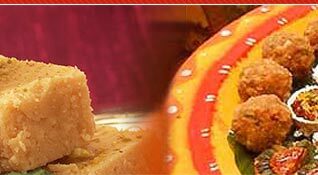 This special sweet is made from mawa, eggs, sugar, rawa, pure ghee, milk, kishmish and badam pista. We also provide proper packaging to ensure hygienic and safety products to our esteemed clients. Our Suleman Special Aflatoon is the most demanding sweets of our entire product because of its luscious and delectable taste. 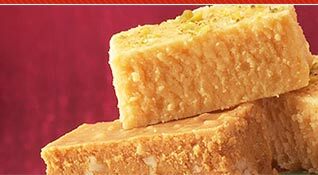 It is specially prepared from the finest quality desi ghee and pure ingredients and baked in a hygienic compartment, specially separated, to ensure healthy and tasty sweets. Our Suleman Special Aflatoon is made of mawa, eggs, sugar, rawa, saffron, pure ghee with milk, and we also offer special packaging for festivals and gifts.